Joe Forte, Deborah Kotab, and Linda Conlin dazzled more than 130 opticians from Connecticut, New York, Rhode Island, and Massachusetts. It has been two decades since Linda Conlin launched Opticalceus’ first program, attended by some 44 opticians. 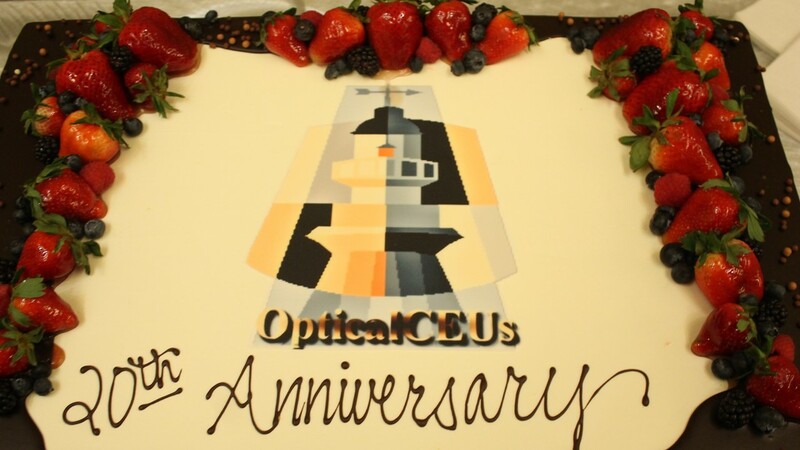 OpticalCEUs honored those attendees who have been at all 20 programs. They include Gerald Boss (who claims to be the oldest, living, working optician), Calvin Harden, Angela Dunphy, Harry Celentano, Ronald Kellie, Gary Murphy, and Edward Talaniec. Ron Kellie received an award for the most dedicated of attendees. After receiving her honor, Angela took the microphone from Linda: “I would like to thank Linda for alternative, quality education.” All attendees received a specially wrapped chocolate chip cookie with registration as well as cake specially decorated by the chefs of Foxwood Resorts. 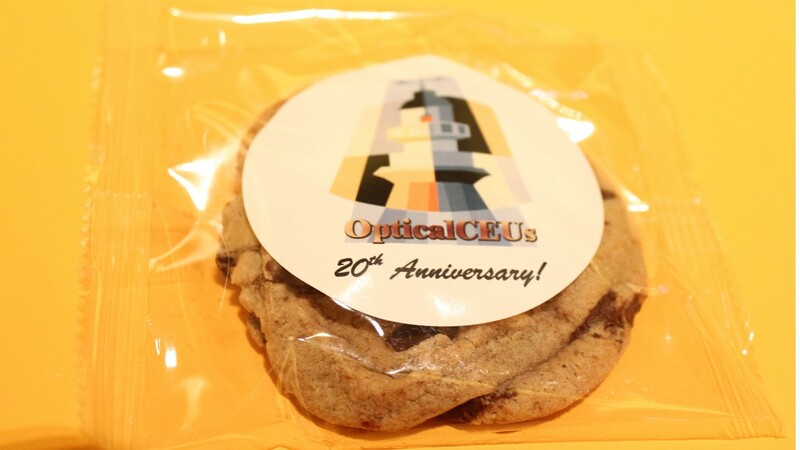 As always, conference attendees can enjoy a delicious hot buffet lunch compliments of OpticalCEUs. OpticalCEUs will offer its usually special courses for a special day. They will help you learn how light, the eye, and brain work together to enable us to see, explore the applications for rigid gas permeable contact lenses, understand how refraction affects our work as opticians, and learn about the impact of nutrition on the eye and vision. The courses were held in the Celebrity Ballroom of the Fox Tower, Foxwoods Resort & Casino. The Morning Sessions will include Everything You Always Wanted to Know About Lenses but Were Afraid to Ask, presented by Joe Forte (1 ABO) 9am-10am; Visual Perception: From Photon to Neuron, presented by Deborah Kotob (1 ABO pending) 10am-11am NEW! ; and Light Adaptation: Photopic, Mesopic, and Scotopic Vision, presented by Deborah Kotob (1 ABO pending) 11am-Noon NEW!. Afternoon Sessions will feature Rigid Contact Lenses for All Opticians, presented by Joe Forte (1 NCLE) 1pm-2pm; Nutrition and Vision Update, presented by Linda Conlin (1 NCLE) 2pm-3pm; Reflecting on Refraction, presented by Joe Forte (1 NCLE pending) 3pm-4pm NEW! ; and Anatomy and Diseases of the Eye, presented by Joe Forte (1 NCLE pending) 4pm-5pm NEW!